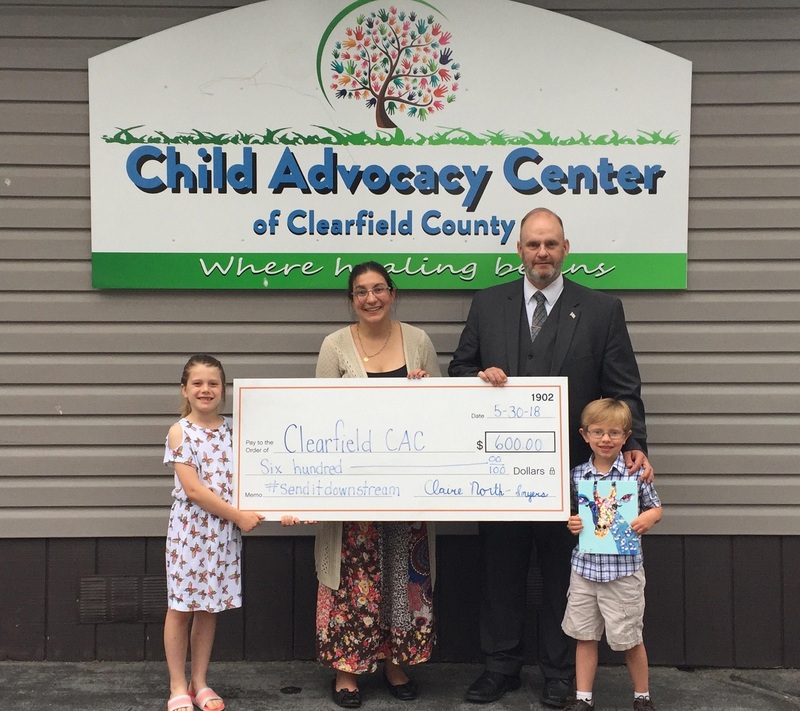 CLEARFIELD – Two children with the same ambitious goal – to help others – have donated to the Child Advocacy Center of Clearfield County. Claire Smyers-North, age 8, of Glasgow and Brayden Rydbom, age 7, of Flinton raised funds for the CAC-CC, shared District Attorney William A. Shaw Jr. According to Shaw, Claire had a desire to help the area and spoke with her mother. She ultimately decided to paint a picture and auction her work on her mother’s Facebook page. Brayden told his mother that he wanted to help kids. And so, he emptied his piggy bank, counted up his money and requested his mother to bid $80 on Claire’s art. After Brayden’s bid, others began adding to it, and his bid quickly grew to $600. All funds raised were to be donated to the charity of Claire’s choice. Shaw shared that Claire raised more than $2,000 during her auction and has donated to 15 different charities, including the CAC-CC. Shaw would like to extend a special thank you to both Claire and Brayden for supporting the CAC-CC.